On a weekend night, there are few places in Poland more memorable or energetic than the New Square (Polish: Plac Nowy). You can find it at the rugged center of the Krakow Jewish Quarter. 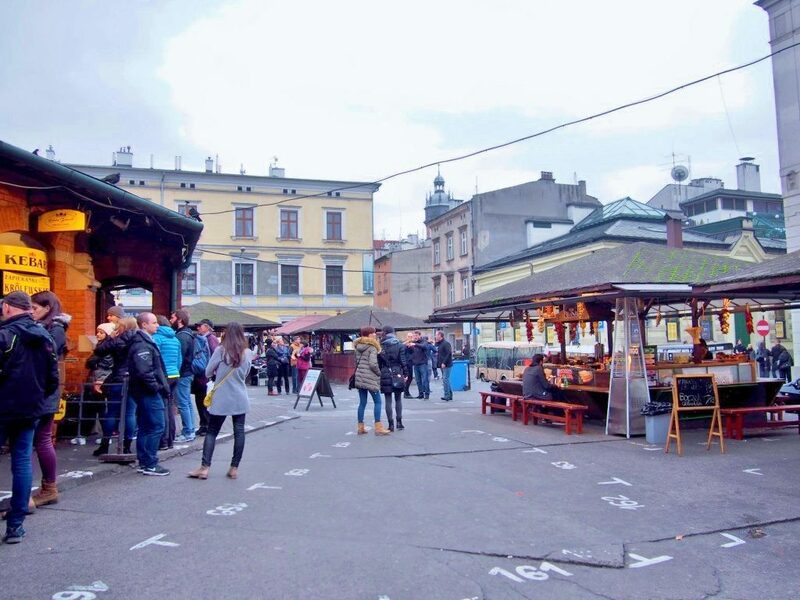 Once a run-down eyesore in the middle of a rough part of town, Plac Nowy has undergone a massive boom over the last fifteen years in both popularity and fecundity. 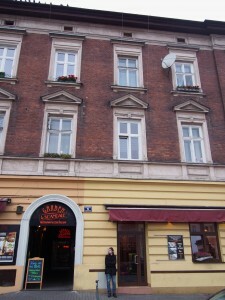 Today it is one of Krakow’s best areas for nightlife and dining. Yet, despite its up-and-coming ambitions, Plac Nowy remains a true slice out of time. This is where urban decay and renewal fit together like pieces of a new watch refurbishing an old one. Many of the square’s original brick buildings weep their ancient plaster façades as they sit awaiting renovation. On any given weekday, the plaza of the Krakow Jewish Quarter will be alive with locals and tourists alike, mingling between the stalls of the famous Plac Nowy flea market as they search for a bargain among the piles of second-hand clothes and interesting antiques, or perhaps eating a zapiekanka (a Krakow specialty, basically an oven-baked French bread pizza that comes with a multitude of customizable toppings) from the square’s picturesque rotunda. After nightfall, Plac Nowy transforms into a bacchanalia of cutting edge cuisines and vodka-soaked dance parties, its many restaurants, bars, and music clubs often packed to capacity long before the stroke of midnight falls. 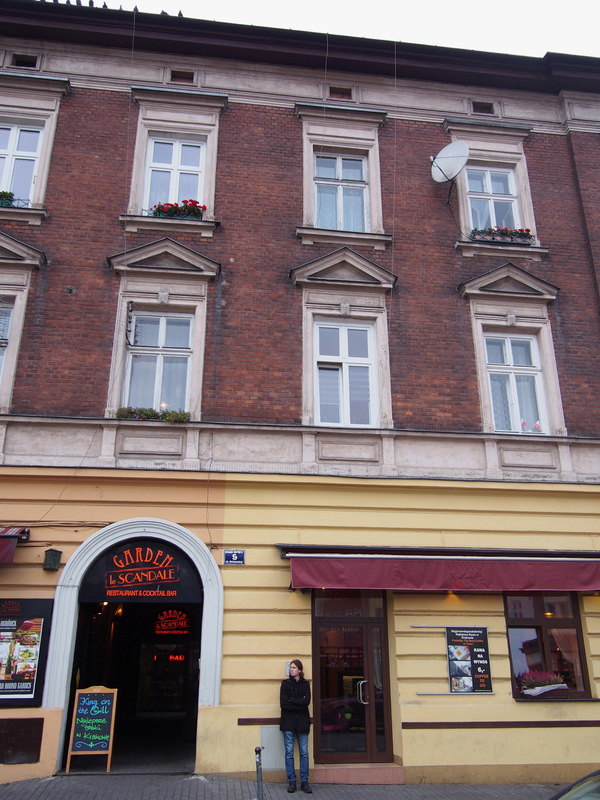 Though the Krakow Jewish Quarter (Polish: Kazimierz) has existed since the middle ages. First as an independent village where the Jews could live in peace, established by its namesake, King Casimir the Great in 1335 AD. Then later as an incorporated suburb of Krakow. Plac Nowy wasn’t built until the 17th century. The iconic rotunda (Polish: okrąglak, meaning “saucepan”) was built at the turn of the 20th century to hold stalls selling butchered poultry, as Plac Nowy’s main purpose at that time was to serve as a meat market. The old kosher slaughterhouse can seen on the square’snorthern side, now home to posh restaurants, cocktail bars, and of course, Kazimierz’s oldest and most famous pub, Alchemia. 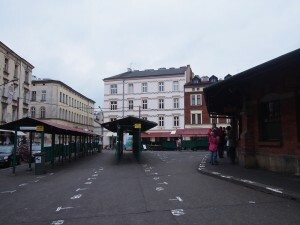 Activities in Plac Nowy vary depending on the time of day you wish to visit. The flea market is open from 7AM until 3PM, though some stalls stay open later. The zapiekanka stalls in the rotunda stay open until the early hours of the morning. Weekend nights tend to get rowdy, so if you’re planning to take a stroll around the Plac after nine or ten in the evening, make sure to bring your party hat. The recently renovated façade of the old slaughterhouse, Plac Nowy’s historic centerpiece. Previous story The Grand Market Hall – The Best Place to get a Flavor of the City!